Correspondence along with coin rubbings, coin photographs, drawings, clippings, and notes relating to Bryan Money and Lesher Referendum Medals. Farran Zerbe (1871-1949) was an internationally renowned numismatic lecturer, writer, and collector whose holdings, which included over 50,000 coins and an extensive library, were sold to Chase National Bank in 1928 where it formed the basis of a money museum, of which Zerbe served as curator until 1939. Farran Zerbe correspondence on Bryan Money and Lesher Medals, 1900, 1918-1944, Archives, American Numismatic Society. Farran Zerbe (1871-1949) was an internationally renowned numismatic lecturer, writer, and collector whose holdings, which included over 50,000 coins and an extensive library, were sold to Chase National Bank in 1928 where it formed the basis of a money museum, of which Zerbe served as curator until 1939. Born in Tyrone, Pennsylvania, his business and personal life after 1900 was devoted to numismatics. He was a head numismatist at major U.S. Expositions held in St. Louis (1904), Portland (1905), and San Francisco (1915-16) and was a member of the United States Assay Commission from 1909 to 1923. He was the owner of the journal The Numismatist from 1908 until 1910 when he sold it to the American Numismatic Association (ANA). 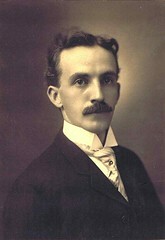 He also served as ANA president from 1908 to 1910. Zerbe was an associate member (1923), fellow (1928), and patron (1947) of the American Numismatic Society. Correspondence (1926-1942) along with coin rubbings, coin photographs, drawings, clippings, and notes mostly on the topic of Bryan Money, which are tokens and medals relating to the 1896 and 1900 U.S. presidential candidate William Jennings Bryan and his platform of the free coinage of silver. Most of the correspondence was generated following Zerbe’s publication of a catalog of the Bryan pieces in a special issue of Numismatist (vol. 39, no. 7, July 1926, p. 313). There are many cases of collectors reporting items that Zerbe had omitted, and he planned to publish an update to the catalog but never did, so the correspondence serves as a record of his research. There are also two files of materials relating to Lesher Referendum Medals, which were privately minted by silver miner Joseph Lesher in Victor, Colorado, in 1900 and 1901 with the hope that they would be used as a stable form of currency. Zerbe interviewed Lesher in 1914 and published an article about him in the American Journal of Numismatics (vol. 51, 1917, p. 152) in which he assigned the pieces numbers that are still in use. The files contain correspondence (1900, 1918-1944), including a letter (November 17, 1900) from Joseph Lesher to N. Vreeland of Paterson, New Jersey, giving the price of each “Referendum Souvenir” as $1.25 each; a photograph of Lesher; a menu from the Prince George Hotel in New York City; and notes taken by Zerbe.